With the successful completion of NEPAL TOURISM YEAR 2011, Nepal is celebrating yet another event – Visit Lumbini Year 2012. The reason behind celebrating VLY is to unite the world to work towards creating a peaceful society through the Buddhas peace message; and to make the birthplace of Buddha a centre of global attraction. Since Nepal first opened its frontiers to foreign visitors in the fifties, it has been the epicenter of Himalayan adventure activities. 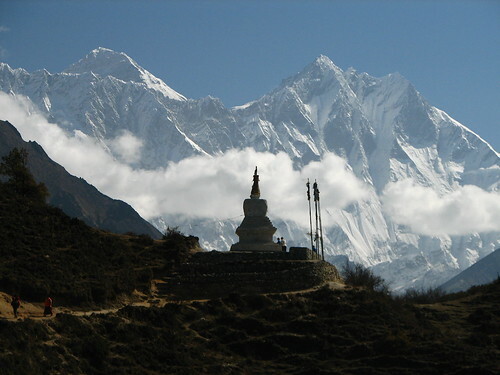 Traveling in Nepal not only offers an opportunity to submerge in Himalayan bliss but also a chance to step back in time. Standing before the entire world as a vivid kaleidoscope of picturesque landscapes, exotic wildlife, arid high-altitude meadows, magnificent mountains, incredible travel destinations, unique culture, festivals, ancient heritage, pristine backwaters, and exotic cuisine, Nepal is undoubtedly a travelers delight.